The renowned Italian baritone Giuseppe Taddei died June 2 just short of his 94th birthday. Taddei made most of his career in Italy and Vienna. He didn’t sing at the Met until 1985 when at age 69 he debuted at the New York house in the title role of Verdi’s Falstaff. There are a number of reasons why so celebrated a singer as was Taddei stayed away from the Met for so long. First Rudolph Bing, the Met’s General Manager during Taddei’s prime, wanted the baritone to audition before being offered a contract. The well established singer felt this beneath his dignity and there was no deal. Second Bing made another offer for a fee that was well below the baritone’s accustomed recompense. But most important was the profusion of great American baritones that were at the Met during Taddei’s heyday – Leonard Warren, Robert Merrill, Cornell MacNeil, and Sherrill Milnes allowed Bing to be cavalier in his treatment of yet another star baritone. 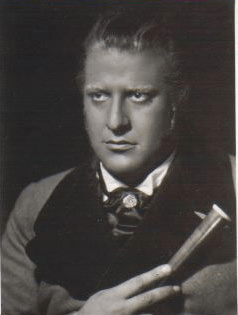 When Taddei finally did appear he still had much of his voice left and he scored a great success in Verdi’s valedictory opera. He returned to the house in 1988 for Dulcamara in L’Elisir D’Amore, but at age 72 there was little more for him to do. Taddei sang a lot of Verdi. He had a big beefy voice that though secure enough at its top was at its best in its mid range which is why he eschewed the interpolated high notes typically inserted into Verdi’s baritone arias. He phrased with insight and feeling that made his characterizations memorable. Here are three of Verdi’s most important baritone arias sung by Taddei at his zenith: Cortigiani vil razza dannata from Rigoletto, Eri tu from Un Ballo in Maschera, and the Credo from Otello. All three interpretations show Taddei’s ability to catch the passion and emotion written into these great pieces. Finally, here is Nemico della patria from Giordano’s Andrea Chenier. Georgeous voice. One of my favorites.